Imagine breaking down a single function unit into multiple mini-service units. That is exactly what microservices do to the traditional monolithic architecture. But, there is more to it than meets the eye. Microservices are the go-to solution for all the major software development projects. But even though it serves a major purpose, there are certain challenges across the way which need to be addressed. And as one design a microservice architecture along the way, one learns several microservice design patterns which can not only improve the performance but also ease the life of the developer. 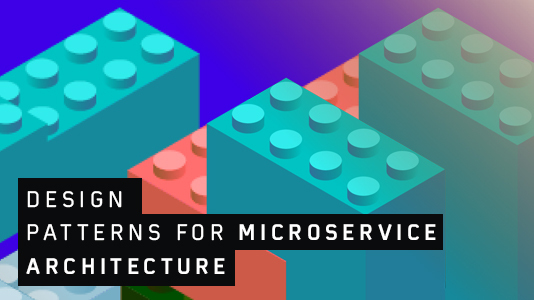 But before we delve deeper into the architecture design patterns, let’s have an abstract recap on the basic fundamental to a successful microservice architecture. High cohesion along with loose coupling. A unique source of Identification for every service. Minimizing data tables to optimize load. Performing constant monitoring over external and internal APIs. Isolated data storage for each microservice – This is very important to maintain limited access to data and avoid ‘service coupling’. Classification of data based on the users is important and can be achieved through the Command and Query Responsibility Segregation (CQRS). Decentralization – The first and foremost principle to design microservice architecture is the ability to break down the monolithic architecture into separate individual entities. These entities are known as microservices. These microservices work independent of the other system functions and all users to edit, delete or employ any functionality without affecting the system performance. Scalability – Microservices are built with an aim in mind: Performance and efficiency. In real-world problem solving, expansion and large-scale systems are crucial to the performance of any microservice ecosystem. Scalability is crucial to design microservice architecture. With the possibility of multiple fragments functioning on multiple technologies, working with larger amounts of data can be a challenge. But, proper implementation and use of Application Controllers can make scalability with microservice architecture possible. 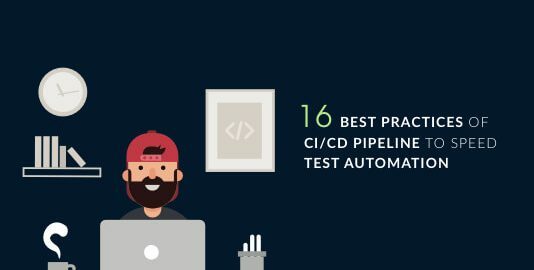 Continuous delivery through DevOps Integration – Those working in DevOps often receive microservice architecture well because of the ease of accessibility and integration of multiple technologies. To design microservice architecture one needs to focus on increasing performance and efficiency of the system. This motivates DevOps to deliver solutions faster. It also offers certain advantages over a traditional monolithic design such as ease of deployability, reliable solutions, scalability, and management. Hence, it forms a major part of the basic principles of design. But with these principles in mind, there are certain challenges that one needs to overcome to achieve a successful structure of microservice architecture. These hurdles might look tough but with a set of microservice design patterns and their right implementation, achieving the same is possible. Let’s have a look at some of these Microservice design patterns. With so many microservices running simultaneously, collaboration comes as a necessity for running an efficient microservice architecture. Today we will look at the collaboration patterns for designing a microservice. With multiple services involved, fetching the output and combining it for the end-user is necessary. For a user to combine the data, will require immense internal knowledge of the system. As we design microservice architecture, breaking down the monolith means the division of the sources of output. Hence, to aggregate this data we make use of the aggregator pattern. 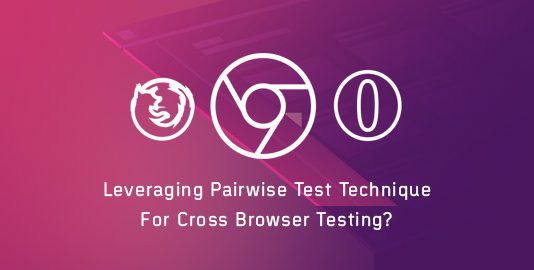 The solution can be forwarded to the end-user through two major components. The first one is a composite microservice followed by API gateways. Either of them will aggregate the data and forward it to the user. But, in case business capabilities are used in decomposing the system, composite microservice should be preferred. They basically extend Aggregator design patterns. In branch microservice you can simultaneously process the request and response from 2 independent or to be precise 2 mutually exclusive chains of microservices. This design pattern also offers flexibility to summon separate multiple chains or even a single chain in accordance to your business needs. In case of an eCommerce website or web application we may need to retrieve data from multiple sources belonging to different microservices. This is where Branch Microservice Design Pattern plays an effective role. Fetching data from every running service is imperative for any application. With the microservice architecture, it is very important to extract the data from individual services. But, fetching user-owned resources from the variety of microservices presented from a single UI can be very tricky. After all, the User Interface captures a lot of information of the end user. API gateway serves as a helpline by generating a single entry point for all interactions that takes place within the architecture. API gateway also helps to establish security by client authorization and exposing relevant APIs with respect to the client. What do we do now? Monitoring the performance is an important aspect for a successful microservice architecture. It helps calculate the efficiency and understand any drawbacks which might be slowing the system down. Remember the following patterns related to observability for ensuring a robust microservice architecture design. When we refer to a microservice architecture we are referring to a refined yet granular architecture where an application is consisting a number of microservices. These microservices run independently and simultaneously as supporting multiple services as well as their instances across various machines. Every service generates an entry in the logs regarding its execution. How can you keep a track for numerous service related logs? This is where log aggregation steps in. As a best practice to prevent from chaos, you should be having a master logging service. This master logging service should be responsible for aggregating the logs from all the microservice instances. This centralized log should be searchable, making it easier to monitor. Detecting Production failures in terms of business requirements. A logic that is specific to your application. Status of the connections to other infrastructure or connection to any service instance. The process of ‘decomposing’ a monolithic architecture into a microservice needs to follow certain parameters. These parameters have a different basis. Today we will look at the decomposition of the microservice design patterns which leave a lasting impact. A microservice is as successful as its combination of high cohesion and loose coupling. Services need to be loosely coupled while keeping the function of similar interests together. But how do we do it? How do we decompose a software system into smaller independent logical units? We do so by defining the scope of a microservice to support a specific business capability. In every organization, there are different departments that come together as one. These include technical, marketing, PR, sales, service, and maintenance. To picture a microservice structure these different domains would each be the microservices and the organization will be the system. So an Inventory management is responsible for all the inventories. Similarly, Shipping management will handle all the shipments and so on. To maintain efficiency and foresee growth, the best solution is to decompose the systems using business capability. This includes classification into various business domains which are responsible to generate value in their own capabilities. Despite segregating on the basis of business capabilities, microservices often come up with a greater challenge. What about the common classes among the services? Well, decomposing these classes known as ‘God Classes’ needs intervention. For example, in case of an e-commerce system, the order will be common to several services such as order number, order management, order return, order delivery etc. To solve this issue, we turn to a common microservice design principle known as Domain-Driven Design (DDD). In Domain-Driven Design, we use subdomains. These subdomain models have defined scope of functionality which is known as bounded context. This bounded context is the parameter used to create each microservice thus overcoming the issues of common classes. Strangler pattern is extremely helpful in case of a web application where breaking down a service into different domains is possible. Since the calls go back and forth, different services live on different domains. So, these two domains exist on the same URI. Once the service has been reformed, it ‘strangles’ the existing version of the application. This process is followed until the monolith doesn’t exist. For a microservice architecture, loose coupling is a basic principle. This enables deployment and scalability of independent services. Multiple services might need to access data not stored in their unit. But due to loose coupling, accessing this data can be a challenge. Mainly because different services have different storage requirements and access to data is limited in microservice design. So, we look at some major database design patterns as per different requirements. Usually applied in Domain Driven Designs, one database per service articulates the entire database to a specific microservice. Due to the challenges and lack of accessibility, a single database per service needs to be designed. This data is accessible only by the microservice. This database has limited access for any outside microservices. The only way for others to access this data is through microservice API gateways. In Domain Driven Design, a separate database per service is feasible, but in an approach where you decompose a monolithic architecture to microservice, using a single database can be tough. So while the process of decomposition goes on, implementing a shared database for a limited number of service is advisable. This number should be limited to 2 or 3 services. This number should stay low to allow deployment, autonomy, and scalability. “Event Sourcing ensures that all changes to application state are stored as a sequence of events. Not just can we query these events, we can also use the event log to reconstruct past states, and as a foundation to automatically adjust the state to cope with retroactive changes. The problem here lies with reliability. How can you rely on the architecture to make a change or publish a real-time event with respect to the changes in state of the application? Event sourcing helps to come up from this situation by appending a new event to the list of the events every time a business entity changes its state. Entities like Customer may consist of numerous events. It is thus advised that an application saves a screenshot of the current state of an entity in order to optimize the load. In a database-per-service model, the query cannot be implemented because of the limited access to only one database. For a query, the requirements are based on joint database systems. But how do we query then? Based on the CQRS, to query single databases per service model, the application should be divided into two parts: Command and Query. In this model, command handles all requests related to create, update and delete while queries are taken care of through a materialized view. These views are updated through a stream of events. These events, in turn, are created using an event sourcing pattern which marks any changes in the data. These changes eventually become events. When we implement microservices, there are certain issues which come up during the call of these services. When you design microservice architecture, certain cross-cutting patterns can simplify the working. The use of containers leads to dynamic allocation of the IP address. This means the address can change at any moment. This causes a service break. In addition to this, the users have to bear the load of remembering every URL for the services, which become tightly coupled. To solve this problem and give users the location of the request, a registry needs to be used. While initiation, a service instance can register in the registry and de-register while closing. This enables the user to find out the exact location which can be queried. In addition, a health check by the registry will ensure the availability of only working instances. This also improves the system performance. In a microservice design pattern, there are multiple microservices. Whenever updates are to be implemented or newer versions deployed, one has to shut down all the services. This leads to a huge downtime thus affecting productivity. To avoid this issue, when you design microservice architecture, you should use the blue-green deployment pattern. In this pattern, two identical environments run parallelly, known as blue and green. At a time only one of them is live and processing all the production traffic. For example, blue is live and addressing all the traffic. In case of new deployment, one uploads the latest version onto the green environment, switches the router to the same and thus implement the update. Monitoring the performance is an important aspect for a successful microservice architecture. It helps calculate the efficiency and understand any drawbacks which might be slowing the system down. Remember the following patterns related to performance monitoring for ensuring a robust microservice architecture design. With the increase in load and microservices, it becomes important to keep a constant check on system performance. This includes any patterns which might be formed or addressing issues that come across. But more importantly, how is the data collected? The answer lies with the use of a metric service. This metrics service is either in the Push form or the Pull form. As the name suggests, a Push service such as AppDynamics pushes the metrics to the service while a Pull service such as Prometheus pulls the data from the service. Microservice architecture design promotes services which are independent of each other to avoid any delay in the system. But, there are times when the system is up and running but it fails to handle transactions due to faulty services. To avoid requests to these faulty services, a load balancing pattern has to be implemented. To achieve this, we use ‘/health’ at the end of every service. This check is used to find out the health of the service. It includes the status of the host, its connection and the algorithmic logic. Though not all the design patterns might apply to a given microservice, you can rest assured that most of them will be used everywhere. These design patterns help developers to bring in a standard that is consistent and brings in reliability to the application as a whole. The evaluation, auditing, and implementation and testing microservices of these design patterns are an ongoing process of microservice architecture. Right from the designing phase of the application to the maintenance phase in production, these patterns will help throughout. 4. 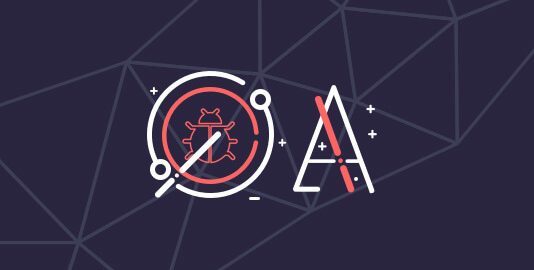 Does Microservices Architecture Influence Security Testing? 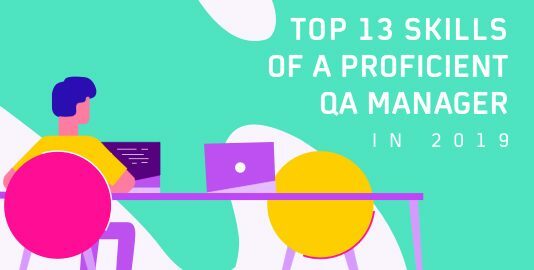 How Code Reviewing Can Help With Quality Assurance?